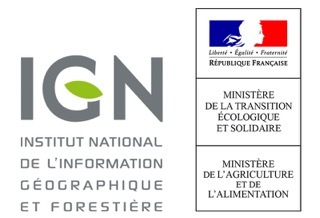 The NGI realized an online map portal, named Géoportail, with the vocation of giving easy access to geographic information. This is public and official information about the national territory. It gives 2D and 3D geographic information. You can choose different layers: aerial photographies, maps, cadastral plan, administrative limits, forest data base or ancient land use.